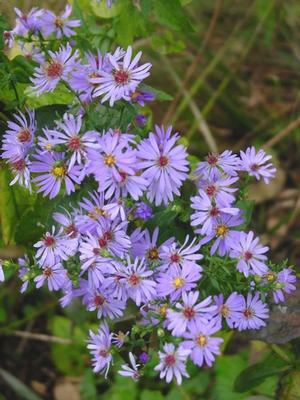 Soft blue, little daisy shaped flowers and dark green foliage. This is a very sturdy and hardy native late bloomer. Tolerates frost and keeps blooming long after everyone else is done.